For the giver there is no difficult choosing and you get the pleasure of knowing you are contributing to the efforts of disabled people to earn a living. 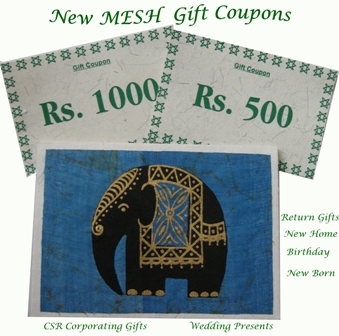 For the receiver there is the fun of choosing your own lovely present and a chance to visit MESH and see what else is available. Uday Park, New Delhi 110 049.